Food & beverage product launches tracked with starch are still on the rise. Due to its versatility, the opportunities to apply starch are endless and even further NPD featuring it is expected. Globally in 2017, 27% of food & beverage launches tracked featuring starch were in the bakery category. This is followed by ready meals and meat, fish & eggs. As consumers become more aware of the connection between nutrition, physical health and mental wellbeing, there is a strong demand for digestive health boosting food and beverages. As a result, fiber, pre and probiotics are seeing growing interest and increased NPD. Globalization is sparking the consumer’s curiosity to discover new food and drinks, and that includes a curiosity for novel snacks. Since eating plant-based is becoming mainstream, industry thrives on plants. 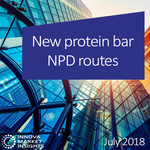 Meanwhile an increasing number of consumers is seeking out alternative proteins. The use of natural food colors is on the rise, with Innova Market Insights data showing a CAGR of 5 percent (Global, 2014-2018). Bakery leads as the top market category in terms of products featuring natural food colors. Spirulina extract is the fastest growing natural food color. Stevia's application continues to grow in food and beverages, appealing especially to consumers looking for products with natural credentials. In North and Latin America, Soft Drinks leads as a category in terms of the inclusion of stevia. Sugar remains top of mind in terms of health for consumers and a key priority for the industry in terms of finding effective formulation solutions. In this space, sweeteners can help give products a health halo, with sorbitol and maltitol seeing big brand adoption. New food and beverage launches with pulse ingredients are on the rise. The growth has been steady, with a CAGR of ten percent. Chickpea continues to lead for pulse ingredients with 46 percent of new meat substitute launches tracked with a chickpea ingredient. The biggest market category for enzymes application globally is Bakery followed by Dairy and Ready Meals. Food colors application has grown steadily over the past years, with a CAGR (2012-2016) of +14%. 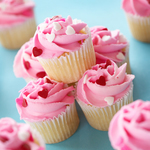 Globally, the biggest market category for food colors application is Bakery, followed by Confectionery and Soft drinks.